Dartmouth College Skiway is where my brother spends his working hours. 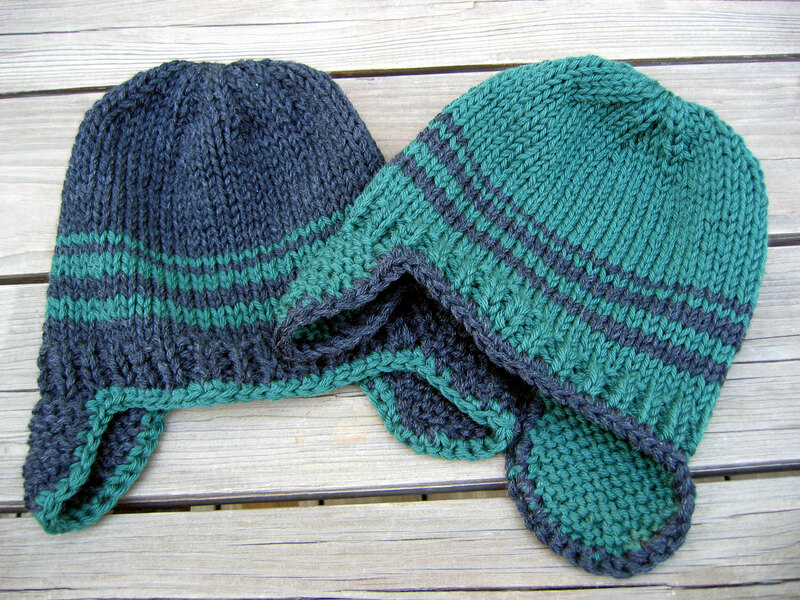 So I decided to knit some earflap hats in Dartmouth Green for him and his wife. Other than substituting the yarn (I can’t get Spud & Chloe yarn locally and prefer to see it in person before I buy) and eliminating the ties, I followed to pattern exactly. 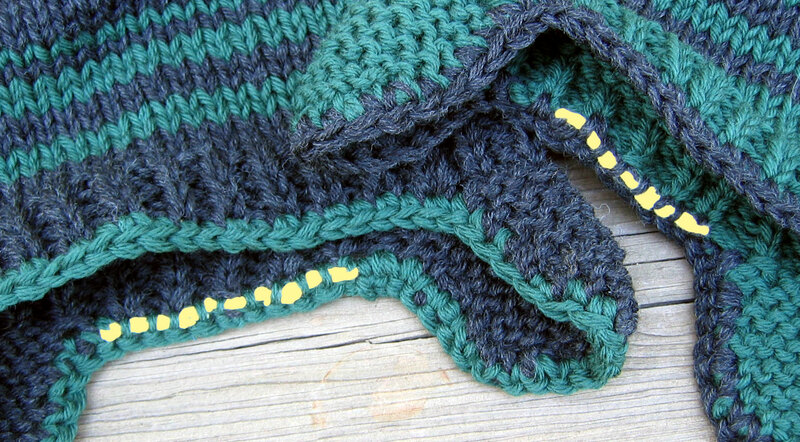 Cascade 220 in Jet and Forest Green. It’s not a perffect match to Dartmouth Green but it’s close enough. Sometimes it’s hard to find the exact school colors in yarn. Using less than one skein of each color for both hats, I still have some yarn leftover for another small project. Maybe matching mitts? Mr. Aitch and I sometimes have a hard time telling the front from the back on our hats so I wove in a small piece of yellow yarn along the back crocheted edge on these. It’s not visible on the outside and should be bright enough to see in the dark days of winter. Great idea on putting a bright color to tell front from back.. Hats look great. Great hats, and I also like the idea of putting the color in to tell front from back! My son’s father graduated from Dartmouth, and though I never saw the school, I heard the stories of how cold it gets. Beautiful hats!